We are glad to see new partners for our joint business. Group of Companies “Kontur-M” consolidate “Kontur Media”, “Kontur Project” and “Kontur-M” Companies. Kontur-M Group is founded in 1994 and located in Moscow, Russia. Kontur-M Group is a well-known leading system integrator and supplier of broadband equipment in Russian market. Our main business area is network solutions. We create technical projects and then supply all of necessary equipment. In Russia Kontur-M Group is one of the sales - leaders both in traditional CATV equipment and in digital innovations. 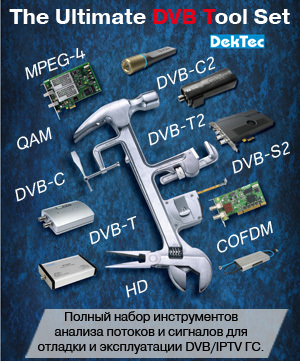 Our Company is the integrator of the advanced broadband networks and TV services in IPTV, DVB-C and DVB-T format. More than twelve millions subscribers in Russia get various modern hi-tech services such as digital and a cable television, VoIP, access to the Internet via Docsis, xDSL and Ethernet networks, by means of using the equipment supplied by Kontur-M Group. Kontur-M Group meets the complex demands of “tomorrow's” market with the best choice of solutions of high level technology. As a modern company with good experience in broadband solutions we derive benefit from a successful combination of traditional classical technologies such as HFC analog cable TV networks and advanced solutions such as TV broadcasting via Ethernet and xDSL networks, using innovation technique of IP-technologies and digital video compression. That’s why we cooperate with the numerous vendors that produce the widest spectrum of the equipment. We invite vendors and manufacturers for cooperation and we are always ready to increase the number of our partners. Our customers in Russia are almost all principal cable TV Operators, large telecommunication companies, Moscow and Regional TV centers. We have good business relations with superior Russian Telecommunication Holding “SvyazInvest”, who supply more than half from all the communication services in all the regions of Russia. We permanently have orders from “Svyazinvest”. Our Company has its own channels of distribution, but we also use some of the partner-companies. Such partner-companies cover with its sales network the great territory of Russia (Ural, Siberia) and territory of Belarus.